Simply and strikingly written, this book really delivers in the end. No cheap tricks here, and I loved the ending! 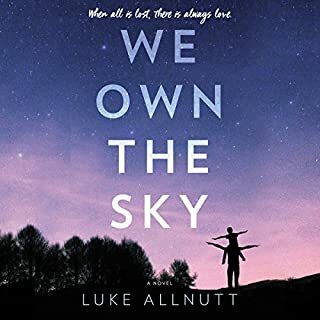 I have experienced both loss and cancer in my own life and this book deals with them admirably. This is not a cheap sentimental book and it will cause you to see different perspectives. The character development in the main character was impressive. Will M. Watt, the narrator, is simply unmatched. I would listen to this guy read tax law or Terms and Conditions. His voice is masculine and emotive, adding another layer to the story. He was able to navigate seamlessly between the voice of a man, woman, and child without compromising at all, and each voice was so unique that I didn't need to be told who was speaking. Remarkably well done. A gripping turnabout in the Maisie adventures. What did you love best about A Dangerous Place? Maisie Dobbs has morphed finally into a many-dimensioned character in this book. Heartbreak returns to her world again but, instead of the "Keep Calm and Carry On" attitude she employs successfully in previous books, she is really and truly broken. This allows small cracks to be seen in her flawless exterior and her sadness bleeds out into her external behavior and in her ability to perform. While I find her steady personality and predictable comportment to be generally reassuring, I found that I took her much more seriously as a person. What was one of the most memorable moments of A Dangerous Place? Maisie deals with some addictions in this book but with a characteristically graceful slant. She desires to lose herself in her sadness but some small part of her is fighting to retain a spark. I found particularly poignant the moments where she is conscious of her addiction and acknowledges her choice in the matter. This entire book is a beautiful, rich scene of Gibraltar that I found myself entirely absorbed in. I enjoyed my vicarious tourism of this strange and vibrant locale. I'm also impressed by the slow sadness and eventual rousing adventure that made up this book. The title says it all! A very apt title, which is a trademark of Winspear's. Not only is Gibraltar a dangerous place, but so is Maisie's emotional state and her view of her future as she herself hangs in the balance. 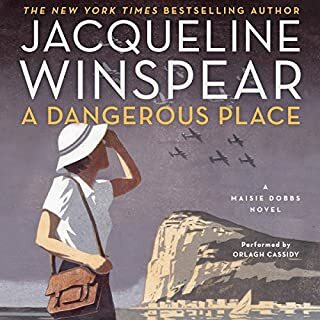 This does not follow the formula of the previous Maisie Dobbs novels, but provides a welcome break from her almost inhuman perfection. I feel that Maisie is on a very real journey that I have taken myself in my life. Some reviewers don't appear to enjoy the break in convention, but it has renewed my interest in this series (not that I ever lost it). I find myself nearly desperate to see where Maisie's story takes her next. This book made me reevaluate the way that I think and act entirely. It may be the single biggest "lifehack" I have entertained. The last few chapters also not only made me cry, but have helped me to see people in a way that is much more patient and compassionate. 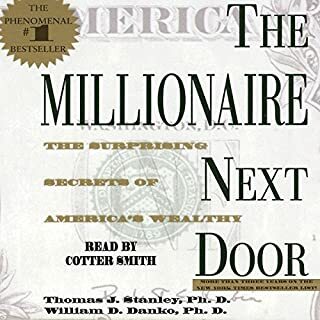 Where does The Millionaire Next Door rank among all the audiobooks you’ve listened to so far? Financial advice is a dull matter at best, especially for someone who doesn't know much about it. This book had a lot of short stories and anecdotes of grounding advice from those who have made it, and better yet, from those who never will. 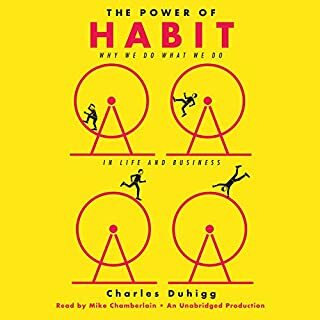 This book has given me a language to solidify what I want and helped to define a financial common sense that I didn't quite understand before. The book contains a lot of what I imagine must have been charts. They were very clearly read, however, and I was able to follow along easily. I found Cotter Smith very easy to pay close attention to. High consumption lifestyles are not only undesirable, they are embarrassing. I have wealthy friends in my life that I once envied. Not anymore! I am happier with what I have, more frugal, and more content in the knowledge that those who flaunt their wealth are much more commonly "Big Hat, No Cattle." The story of the gentleman who turned down a Rolls Royce rang particularly true with me. I approach my finances so differently after reading this book. I feel as though I have someone to look up to now, which is harder than it sounds because finances are something that are so rarely discussed.